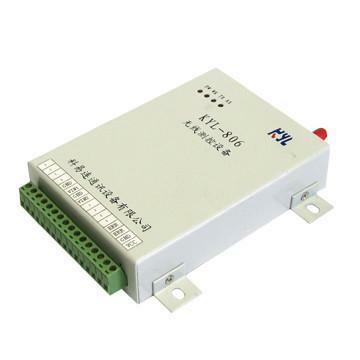 KYL-816 Analog Wireless Acquisition Module has the function for analog acquisition and wireless transmission, do not re-empolder, it can achieve the function for wireless remote controlling and collecting data with a low cost. It is industrial design and has a wide work temperature so that can meet client’s requirement for whole day using. The RF adopts narrowband FM and has high anti-jamming. There are power monitor circuit and watch dog circuit for the CPU, and ensure that this module can operate at adverse circumstances. With the indicator light of power supply, operation, receive and transmit. Can work by Modubus RTU protocol. Indicator light for working：indication for the equipment working in gear, the bicker period is 2S when the equipment work in gear. Indicator light for transmit：indication for data transmitting. Indicator light for receive：indication for data receiving.